Daniel oversees the Agricultural Engineering and Compliance division for Sustainable Environmental Consultants and serves as the primary contact between its clients and regulatory agencies. He brings a comprehensive knowledge of environmental compliance related to livestock facilities, specializing in facility design and waste management. Daniel is proud to have been with SEC almost from its beginning and has enjoyed watching the service lines evolve. As for future opportunities for SEC customers, he would like to grow the soil sampling line and see more producers use a standard protocol for soil sampling. 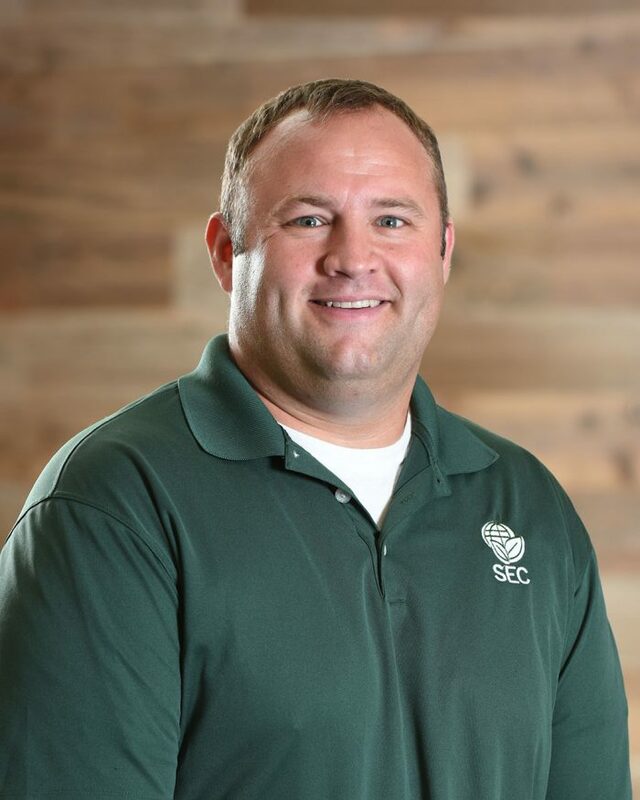 Before joining SEC, Daniel was a review engineer in the Livestock Waste Management Section at the Kansas Department of Health and Environment. He worked with new livestock facilities to ensure each one followed stormwater best management practices and met local, state, and federal regulations. He holds a bachelor’s degree in biological and agricultural engineering from Kansas State University and has been a member of the American Society of Agricultural and Biological Engineers since 2002. In his spare time, Daniel likes doing yard work including mowing, working in the flower beds, and clearing brush from pastures. He also enjoys smoking meat and watching college football, especially Kansas State.